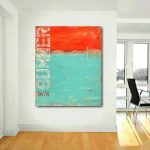 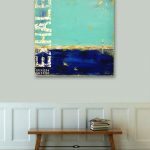 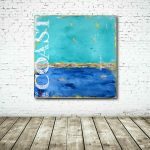 My coastal abstract paintings are expressions of my love for colour, texture, numbers and typography, creating a happy escape for the viewer. 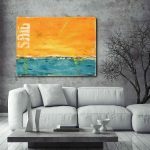 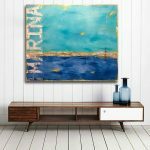 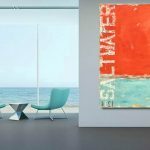 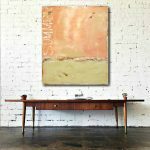 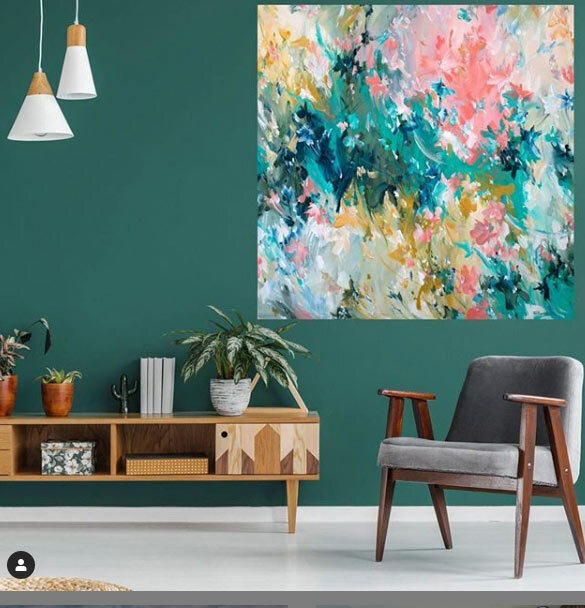 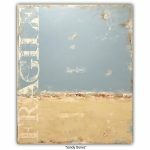 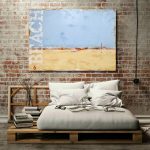 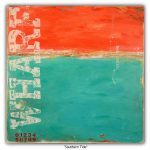 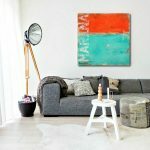 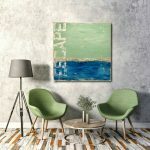 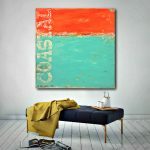 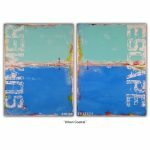 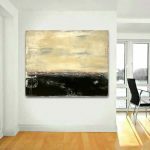 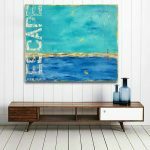 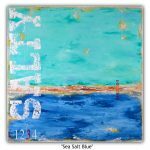 My coastal artwork is inspired by my passion for texture, colour, typography, and the overall coastal lifestyle which I have embraced living on the Mornington Peninsula of Victoria, Australia. 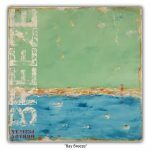 With camera in hand, my photographic passion of capturing the raw beauty Mother Nature creates over time, rusted metals, peeling paint, anything weathered, all come together once back in the studio, inspiring a style which brings the viewer an adventure in texture, hints of mixed media, a horizon made with genuine music sheets, typography, and numbers, resulting in pieces that I feel truly captivate the coastal lifestyle I have fallen in love with. 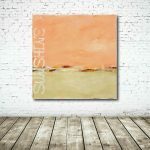 The palette of hues across my paintings, come from my surroundings and the day’s events in which I am creating in. 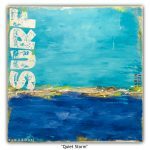 A walk along the beach, flowers in my garden, to a person’s shirt, or a car passing by. 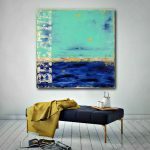 The hidden gems of texture are inspired by the netting on a pier, or off the side of a boat which I come across on my many journeys along the peninsula’s coast line. 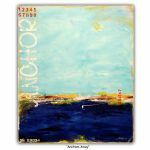 You may ask why the numbers, the numbers you see in sequence are a homage to my vast manufacturing background, combined with a selection of random numbers I come across that caught my eye, on a beach box, a boat out on the water, to anything and everything along my day. 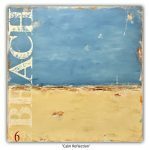 The music sheets bring me back to my childhood with my Mother, who loved playing the piano, to what we all love most about the beach “the beautiful sound of the waves”… life is my inspiration. 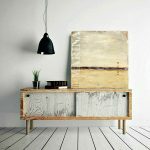 As much as I love colour, I also love the power of neutral shades and hues, inspired by a long stretch of beach, to an old weathered wood boat, beach box, and pier. 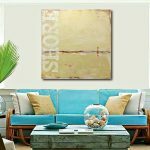 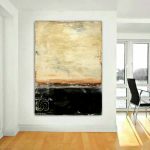 I share this passion through my neutral abstract paintings. 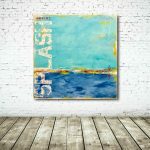 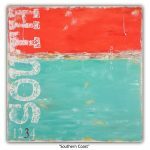 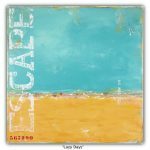 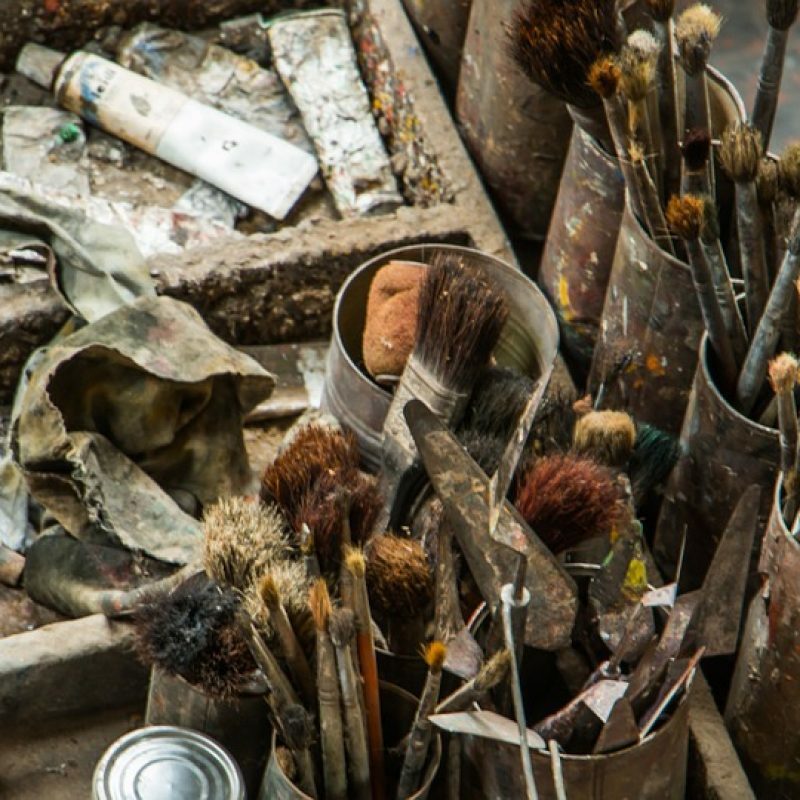 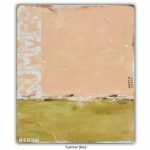 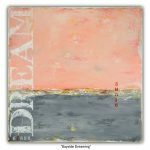 These works are created using acrylic paint, medium, and occasionally hints of mixed media, creating works of energy, spontaneity, and emotion.